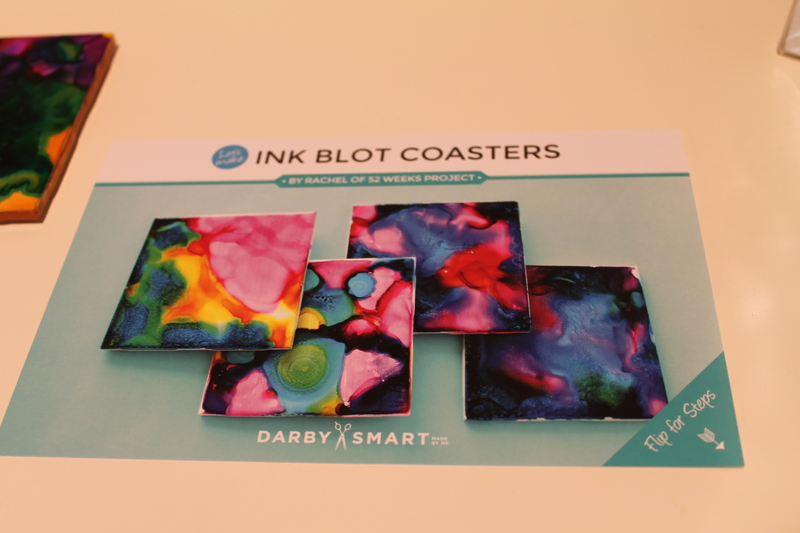 I recently signed up for a new DIY subscription service called Darby Smart. 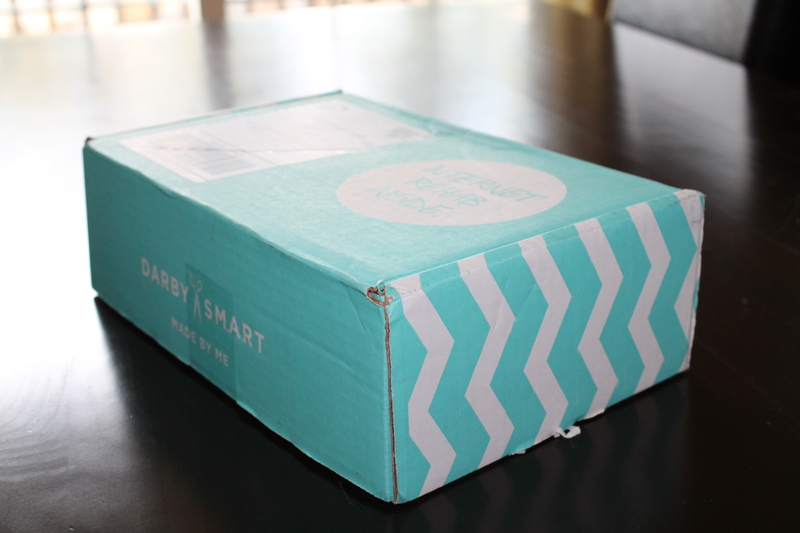 For this subscription service, you have the option to sign up for a monthly box for $19 a month, or opt for a prepaid 6 month subscription or 12 month subscription at the same rate. 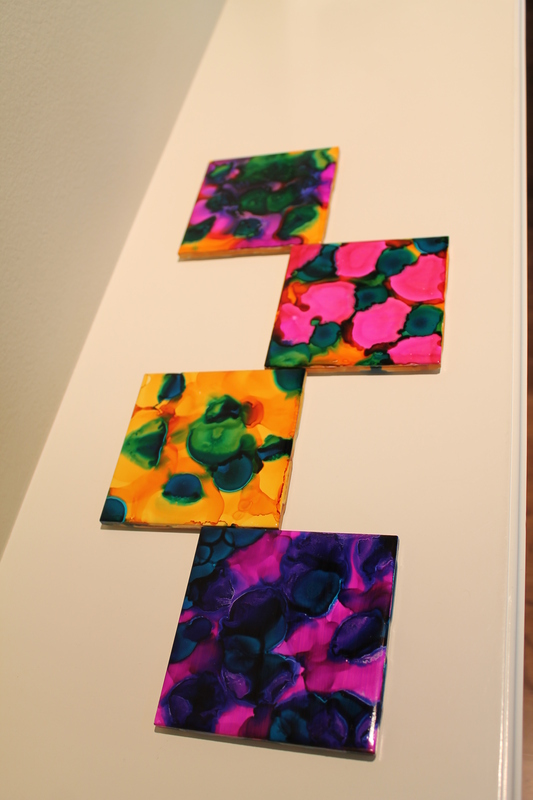 The project is different each month and the type of craft varies. 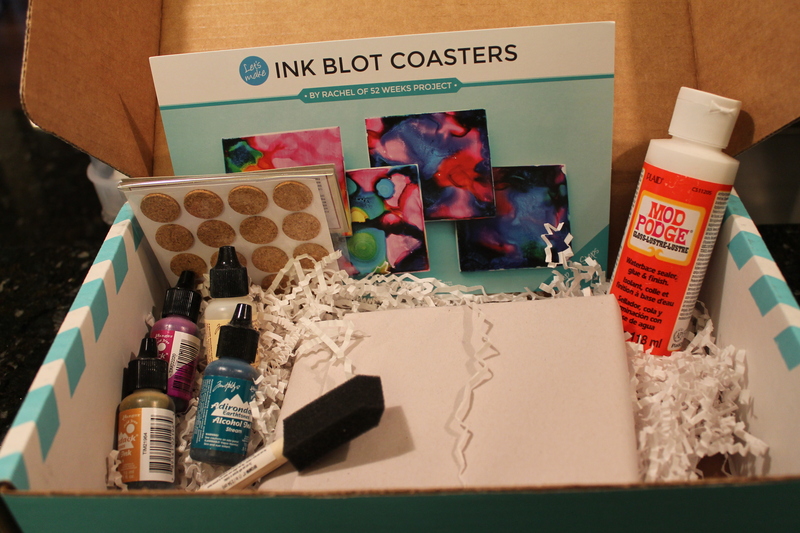 This month I got my first box, and it was an ink blot coaster kit. The kit contained the tiles, cork stickers for the bottoms, a prep fluid for the tiles, 3 colors of ink, a sponge brush, and some mod podge sealant. The whole project took me about an hour, but I gave it some more time to dry. If you don’t like the way your tile turns out on the first try you can wash it off with soap and water and try again. I did this with the first two tiles because they got a bit streaky. My one suggestion to anyone trying this project would be to wear plastic gloves during the inking phase. I got ink all over my hands and neither soap and water nor nail polish remover could get it off. I’m sure it will eventually wear off. I enjoyed the first project and can’t wait to see what next month will be.